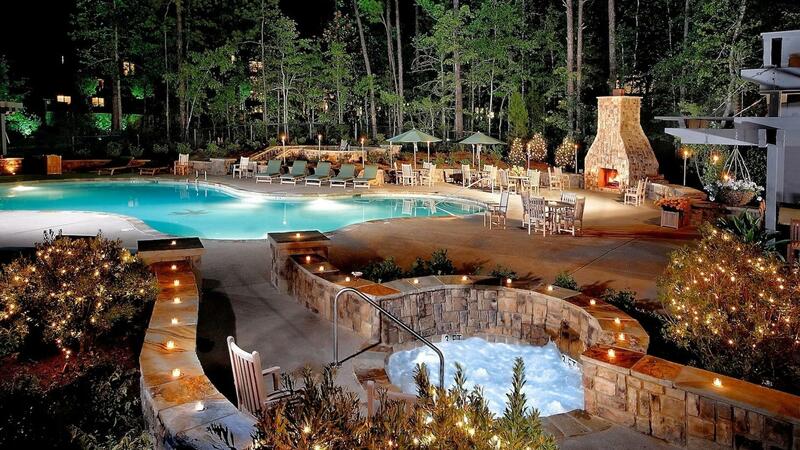 Rent The Lodge and Spa at Callaway Gardens | Corporate Events | Wedding Locations, Event Spaces and Party Venues. Nestled among 6,000 acres of lush vegetation, vibrant flora and preserved forest land, our resort provides a level of service and luxury that's vastly superior to any other accommodation in the region. Treat your guests to a relaxing visit to the Lodge and Spa at Callaway Gardens! With its beautiful banquet and conference centers, this serene venue is perfect for a range of events from elegant weddings to peaceful corporate retreats. Let the luxurious accommodations, exceptional dining and dedicated staff of the Lodge and Spa create lasting memories for your special event! Whether you want to utlize the plethora of activities Callaway Gardens has to offer, or the Lodge's famous Culinary Comradery Team Building, your guests will surely enjoy the natural surrounding of the Lodge and Callaway Gardens. As an Autograph Collection by Marriott resort, you and your guests will enjoy the benefit of earning Marriott Event Rewards Points. Host your next business meeting, conference, or convention near Atlanta! Leave the city lights behind and plan a business getaway nestled amoungst 6,000 acres of pure vegetation. During your event, treat your guests to Callaway Lodge and Spa's lush amenities, relaxing services, and outdoor activities. Celebrate the biggest moment in your life amongst the splendor of Callaway Gardens. Let the luxurious accommodations, exceptional dining and dedicated staff of the Lodge and Spa help create lasting memories. An ideal wedding is more than just beautifully written vows, perfectly exchanged by the happy couple. It's comfortable, luxurious accommodations for the guests. It's spacious and well-appointed pre- and post-ceremony sites for gathering and celebrating. It's having a team of wedding professionals to ensure every last detail is covered so the day you've dreamt about your whole life can become blissful reality.